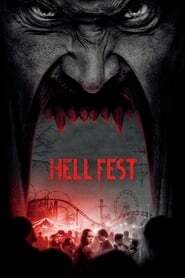 Storyline:- A masked serial killer turns a horror-themed amusement park into his own personal playground, terrorizing a group of friends while the rest of the patrons believe that it is all part of the show. Storyline:- A young woman is involuntarily committed to a mental institution, where she is confronted by her greatest fear–but is it real or a product of her delusion? Storyline:- During a babysitting gig, a high-school student is harassed by an increasingly threatening prank caller. Storyline:- When a young man becomes the target of a malevolent entity, he must uncover its true intentions before it takes complete control of him. Storyline:- A woman, Rose, goes in search for her adopted daughter within the confines of a strange, desolate town called Silent Hill.